Since the early part of last century, designers have been imagining a future in domed, self-contained cities; from Buckminster Fuller’s famous geodesic domes to the Truman Show’s city in a bubble. The practicalities of controlling said bubble would be providing a light source to rival the sun. One big disadvantage of creating a light to function at an intensity that would light a city is the energy consumption required. However, a Taiwan-based company called Beampro Technology may be one step closer to solving this issue. 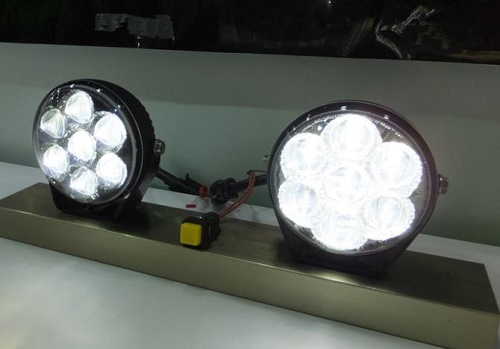 Beampro has devised a way to boost the brightness of LED lights without overdriving the electronics or increasing their power consumption. 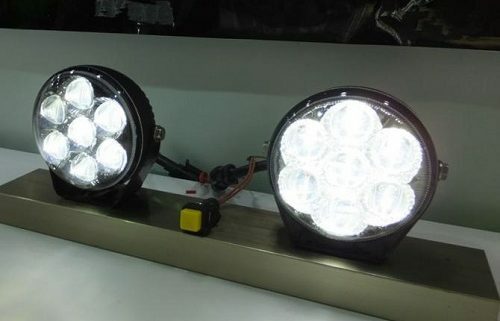 A common way to intensify the glow of LED lights is to use reflectors in the lighting unit. Beampro on the other hand has developed a reinforced polycarbonate (PC) microlens system that focuses the beam of light emitted from the LED chip, reducing the amount of light lost in diffusion. The microlens works through its structure of having one plane surface and one spherical, convex surface that refracts the light in a specific direction. The lens has a diameter of 7mm and works in combination with a 1 watt LED chip. The system that Beampro uses was dubbed the “Cat’s Pupil” and exhibited at the Taipei AMPA & AutoTronics trade show, which showcases auto part developments, back in April. This innovation shows that 95 per cent of the generated light can be directed and focused on a chosen area. This means that we aren’t only one step closer to incredibly bright lights, but we will be able to produce street lights that only light up the areas they are directed at and not creating an inordinate amount of light pollution. Focusing light and controlling the extent to which you light up the darkness offers a lot of opportunity for designing new ways to inhabit the night. Although this technology won’t likely be finding a domestic application, as at this point diffused light is more desirable in the home, it is still a large leap in boosting brightness. We’re still probably a long way away from a Truman Show-esque self-contained city where you can switch the sun on and off, however the breakthrough of increasing light intensity without the need to increase power offers a range of possibilities in illumination innovation that we’ll likely be seeing in the coming years.